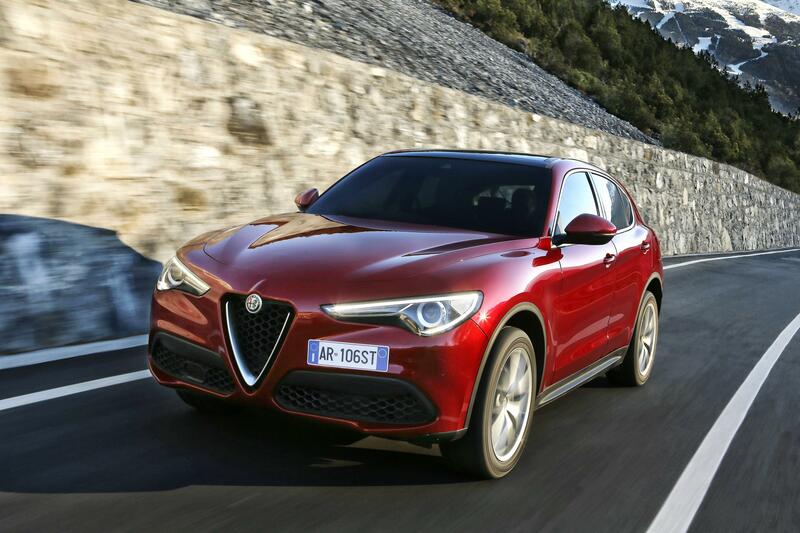 There are high hopes that this stylish all-new Alfa Romeo Stelvio will be a bestseller for the Italian carmaker. It’s their first step into the SUV market and while it has a hefty price tag, it does have excellent handling, a quality interior and stylish good looks to make it a sound alternative to the likes of the Audi Q5 and BMW X3. The new model will have all-wheel drive and from September there will be four trim levels available. The new car made its UK debut at the Goodwood Festival of Speed where it received a good reaction, and not only from Alfa fans. Engines for the new Alfa Romeo Stelvio will, from launch, feature a 2.0 litre petrol engine producing 280HP and a 2.2 litre diesel unit producing 210HP with both mated to an eight-speed automatic transmission. Alfa is promising that the petrol engine will offer the best in class for acceleration and will reach 62 mph in 5.7 seconds. That’s an impressive time considering the size and weight of the vehicle. The top speed for the petrol engine is 143 mph and it should return around 41 mpg with emissions of 161g/km. For those who want more economy, the diesel unit will return around 60 mpg with emissions of 127g/km. Its top speed is 134 mph and its 0 to 62 mph sprint time is 6.6 seconds. Soon after launch, the Alfa Romeo Stelvio will be available with a 2.2 litre diesel unit producing 180HP and a 2.0 litre petrol unit producing 200HP. Standard equipment for the Alfa Romeo Stelvio includes 17-inch alloy wheels and double chrome exhaust pipes while the interior is a stylish creation with dual zone climate control and a 3.5-inch touchscreen cluster instrument panel. There’s also an 8.8 inch infotainment system with Bluetooth connectivity which makes good use of the eight speaker audio system. The multifunction leather steering wheel contains all of the relevant controls. Other models come with larger alloy wheels and front parking sensors and there is also the option of 3-D navigation and a two tone leather dashboard. Alfa is also offering a Stelvio Speciale which has 19-inch alloy wheels with red brake calipers, power folding door mirrors and chrome window surrounds. The interior has heated leather seats and aluminium shift paddles on the steering column. While the Stelvio is entering a competitive market, the number of drivers opting for SUVs is rapidly growing. One of the attractions for the new model is the 50-50 weight distribution which offers the best in class for power to weight ratios. It helps too that it’s the lightest mid-size SUV available in its segment. 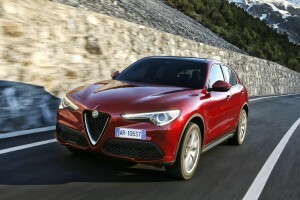 Alfa is also promising that its new SUV will embody everything that the Alpha Romeo fans have come to enjoy and admire. The all-new Alfa Romeo Stelvio will cost from £33,990 OTR. This entry was posted in Car Leasing, Cars, Crossover Cars, New Cars and tagged Alfa Romeo Stelvio by Steve Lumley. Bookmark the permalink.